Plain tuning fork, blue steel, c 1900s-c 1930s. 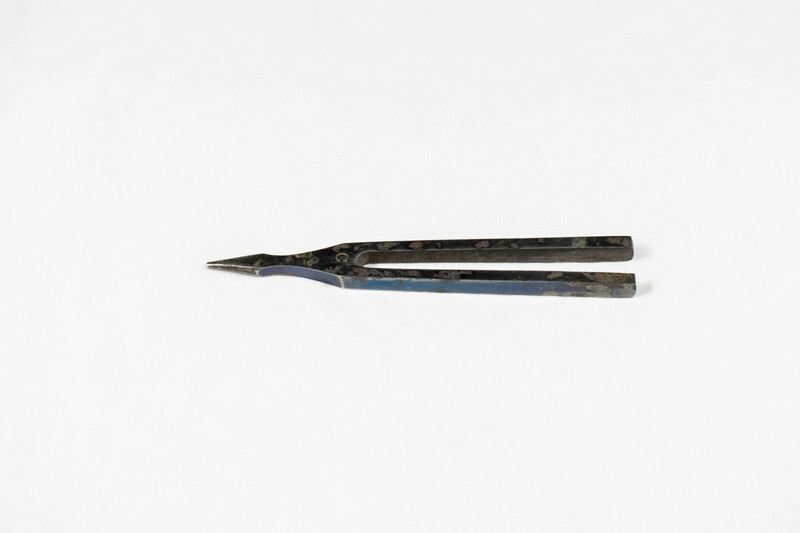 This tuning fork dates from the early 20th century and would have been used to test the hearing of a patient. The specific tests used to measure hearing deficiencies are known as the Weber and Rinne Test. In a Weber Test, the tuning fork is struck and placed in the middle of the patient's forehead, equidistant from both ears, If the patient's hearing is normal, the volume of the tone will be equal in both ears. If the volume is louder in one ear over another, this is an indication that there is some hearing loss. In a Rinne test, the vibrating tuning fork is placed on the mastoid process behind either ear, and then placed next to each ear. If the volume of the note is louder when conducted through bone, hearing loss is present. Unknown, “Tuning Fork,” Heritage, accessed April 24, 2019, https://heritage.rcpsg.ac.uk/items/show/59. 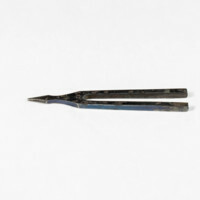 Description: Plain tuning fork, blue steel, c 1900s-c 1930s. This tuning fork dates from the early 20th century and would have been used to test the hearing of a patient. The specific tests used to measure hearing deficiencies are known as the Weber and Rinne Test. In a Weber Test, the tuning fork is struck and placed in the middle of the patient's forehead, equidistant from both ears, If the patient's hearing is normal, the volume of the tone will be equal in both ears. If the volume is louder in one ear over another, this is an indication that there is some hearing loss. In a Rinne test, the vibrating tuning fork is placed on the mastoid process behind either ear, and then placed next to each ear. If the volume of the note is louder when conducted through bone, hearing loss is present.